After scouring the internet I found some photos from this weekends race, pretty sweet shots if you ask me. 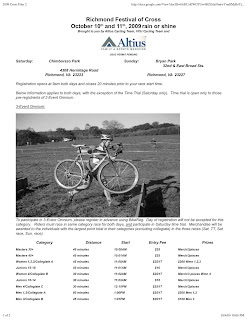 Posted by Unknown at 3:24 PM , Links to this post , 0 comments I'm reading from MyDailyGround: Lions Park-NCCX Race #2 Tweet this! Just as stressed and overstreched as any other Monday, it's now over and I'm officially starting my Tuesday with a very early morning post. Racing during the weekend really makes it fly by and before you know it, it's the week again and there is plenty of work to be done. 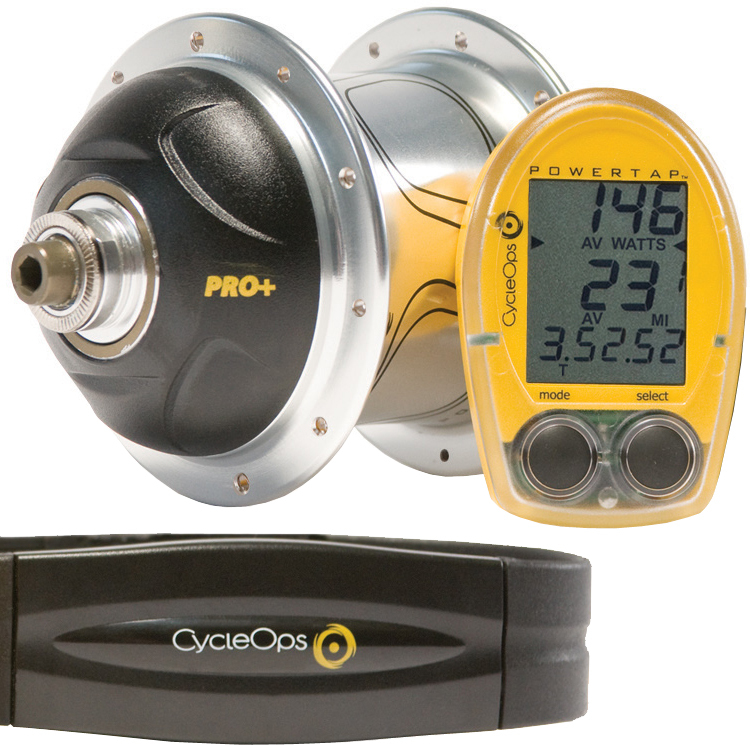 The weekend was very rewarding as a cyclist because it allowed me to gain a sense of where I stood against faster riders in the B category. Sunday I had the opportunity to race up a category, from C's to B's which was quite a difference. The field size shrunk significantly from 89 on Saturday to 39 on Sunday, making the race much more manageable. The course was long and had several very hairy sections including 3 crosses over a concrete storm drain channel that caused a serious accident sending 1 rider to the hospital. The 3rd turn of the first lap I went down and that made it tough to gain back ground and my position was set from the beginning, however I did gain a few places throughout the race and while I only place 32nd of 39, I was the last rider that finish all 6 laps, 33 and later finished a lap down. Since all three of us raced B's I didn't have an opportunity to take any photos of the race but I'm hopeful that I'll find some on the web posted here soon. 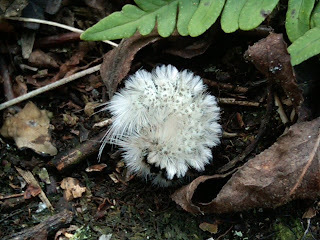 Posted by Unknown at 9:39 PM , Links to this post , 0 comments I'm reading from MyDailyGround: Another Manic Monday! Tweet this! Posted by Unknown at 3:05 PM , Links to this post , 0 comments I'm reading from MyDailyGround: Race Across the Sky and 1st day of Cross Recap! Tweet this! Today Race Across the Sky premieres in select cities across the US. It looks amazing, and while it isn't being shown in any theaters close to Blacksburg I hope to have an opportunity to see it while it's in theaters. Secondly I found out that Kevin Carroll, author of "Rules of the Red Rubber Ball" will be speaking on campus early in November. Kevin is a motivational speaker that I had an opportunity to hear speak while attending a conference with Phillip Morris. He's the man behind the Nike wristband and has an incredible story. I'm really looking forward to hearing him speak again! 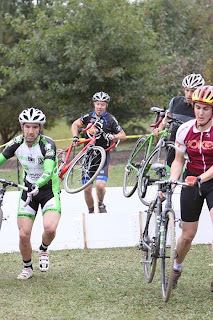 This weekend I'll be heading to NC for another weekend of cyclocross. I'm really stoked for some more racing and seeing if my level of fitness is any better now that I'm mostly over the cold/flu that plagued me for 2 weeks prior to my first race. Posted by Unknown at 10:58 PM , Links to this post , 1 comments I'm reading from MyDailyGround: A few exciting developments Tweet this! 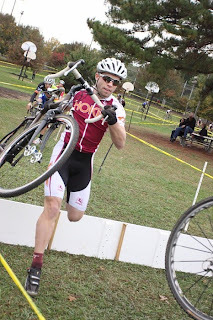 Results from the Richmond Festival of cross weekend. Apparently Rob Sherpa took 5th both days for the Collegiate C's races. Also if you haven't checked out the sweet share this button that's in the side bar and appearing on a lot of websites these days, try giving it a click and look at how many applications are available to share things via the web, Amazing! Posted by Unknown at 9:12 PM , Links to this post , 0 comments I'm reading from MyDailyGround: Richmond Festival of Cross Results Tweet this! Today was an awesome fall day in Blacksburg and while it was cold and looked like it was going to storm all day, it made for awesome pictures at the pumpkin patch. A fun day playing in the pumpkin fields, my first hayride in a long time, and some awesome apple cider and hot dogs. 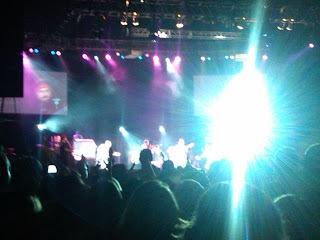 I couldn't help but take a ton of pictures, my favorites are below. This morning I had the brilliant idea that I would try and go for an 18 mile run, the second longest run on my training schedule behind one 20 mile run. At 2 hours I called it quits with just over 14 miles in sub 40 degree weather. I decided that I knew that after not training for weeks and being able to run that distance in a respectable time, with some more training I'll be fine with the marathon. My body has almost recovered from having the flu a few weeks ago and I was fearful of what another hour exposed to the harsh elements would do. When I got back I was still cold after a 30 minute hot shower, leading me to believe my core body temperature had to be low by maybe a degree or 1.5-degrees. Posted by Unknown at 5:01 PM , Links to this post , 0 comments I'm reading from MyDailyGround: Pumpkin Pikinz Tweet this! The power of the internet is truly amazing and through my recent fascination with Twitter I'm amazed at the ability of a network to raise money and awareness for a cause. Signing up for twitter takes less than 5 minutes and by signing up and following @DrewFromTV you'll be making a $1 donations to the Livestrong Foundation. Check out the video from the two Drew's and the story Here. Posted by Unknown at 7:23 AM , Links to this post , 0 comments I'm reading from MyDailyGround: Drew vs. Drew Tweet this! Posted by Unknown at 8:44 AM , Links to this post , 0 comments I'm reading from MyDailyGround: Oh boy! Oh Boy! Oh boy! Tweet this! This past weekend was my first weekend of racing in over 2 years and it was awesome. My goal for the weekend was to have fun and not get caught up in the emotion and pressure of feeling like I have to do well to have fun. Saturday's race was at Chimborozo park and had a lot of elevation change with a set of stairs that left me exhausted. 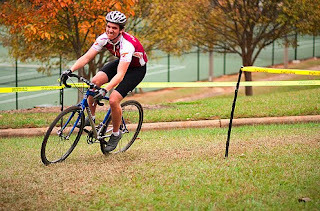 The race went well for my first cross race and I kept my pace and raced my own race battling for three of the four laps with a guy who got the best of me on the last lap. Sunday's race was at Bryan park and resembled a crit more than a cross race with more than half of the race on pavement and the rest on fast hard pack. I felt much better on Sunday knowing what to expect for the race as well as my energy level and fitness. I managed to stay with a quick group for most of the race and with about half of the last lap left decided to sit in and let someone else attack, and a huge attack was put in with little response from my group and quickly swallowed back up before entering the single track portion of the lap. Entering the last set of barriers I was third in the field of 7 and came out in front of everyone after some pushing and shoving and rode slow through the technical section before hammering it for the last little bit leaving the group I was with and crossing the line without anyone from the group. Sunday was a lot of fun and left me excited for the rest of the season. 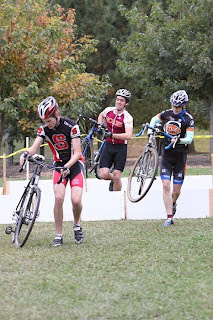 Overall I took 5th both days for mens collegiate C out of 8 and 7 respectively. Overall in my races I place 19th of 30some and 20 of 43. Posted by Unknown at 6:38 AM , Links to this post , 0 comments I'm reading from MyDailyGround: Richmond Festival of Cross Tweet this! Thursday evening after what seemed like an impossibly long week I had my first opportunity to relax. 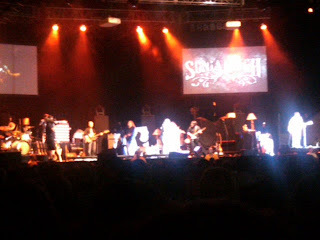 Michelle got us tickets to the Zac Brown Band concert in Salem and the concert was amazing! They played a 3.5 hour set with 3 guest artists including Sonia Leigh who had a really narly rocker country voice. Friday was a drop dead gorgeous day in Blacksburg and I planned on spending the day writing my lab report before I left for a weekend of racing in Richmond. 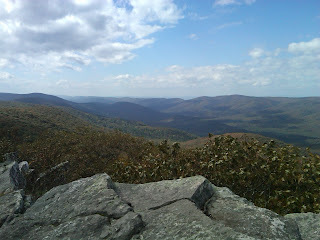 After a spontaneous decision to do something outside I found myself headed down 460 towards Mountain Lake. After driving down a road that seemed in much worse condition then the last time I drove it, my poor GTI, Michelle and I thankfully made it to wind rock where we spent the afternoon. 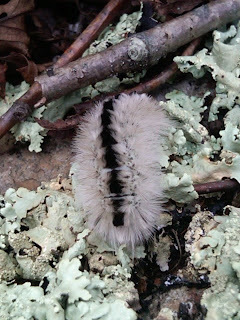 Found this awesome caterpillar which I believe is a Lophocampa caryae. Either ways he was sweet! Posted by Unknown at 3:33 PM , Links to this post , 0 comments I'm reading from MyDailyGround: Zac Brown and Wind Rock Tweet this! Today has been a very busy day and although I don't have time to sit down and write this blog, its an excellent form of procrastination and helps put things at ease in a time of crazy flurry. While I was supposed to be studying for my heat transfer test this evening, I made a cup of tea in hopes to reduce the misery of this darn cold and couldn't help but take another photo. These Bodum glasses are awesome, and as my good friend Jeff pointed out they're Danish, so everyone should go out and support the country of hot blondes and purchase lots of Bodum drinking glasses. A few shots from today and another of my current desktop background. 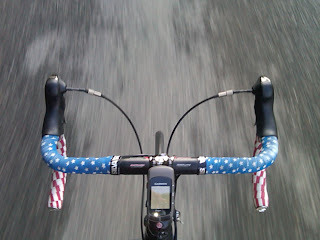 The photo of my bars was taken while on the bike and with my phone, decent quality considering. That's all for now back to the whole studying thing, after all if I want a job next year I kind of need to pass all my classes. Posted by Unknown at 1:26 PM , Links to this post , 0 comments I'm reading from MyDailyGround: Hump Day Tweet this! Stumbled upon this really awesome video from Jesse Rosten the other day. The quality is incredible and too good not to share. I've probably watched this 6 or 7 times already and each time I watch it I just get more pumped about this weekend. I think my mom is going to make the trek down to see the race which should be cool to see her and the fam. That's all for now, two tests this week and a project all before I head to Richmond on Friday. Now all I have to do is get better. Posted by Unknown at 1:28 PM , Links to this post , 0 comments I'm reading from MyDailyGround: The FlU....Continued Tweet this! Last week around 7PM Tuesday I woke up from a nap with a slight cough, by 7PM Wednesday I was curled up on the couch with chills all over, a fever, and feeling like death. Today Sunday 5 days later I still feel horrible and with the promise of the season opener of cyclocross in Richmond this coming weekend, I need to feel better, NOW! Anyways the flier for this weekend is below and I'm super stoked not only for my first cross race but my first collegiate race. Hopefully this Flu thing will work its ways out and I'll be alright to race. Posted by Unknown at 6:59 PM , Links to this post , 0 comments I'm reading from MyDailyGround: The FLU Tweet this! I got these really neat double wall Bodum glasses that make taking a pretty photo very easy, so I decided I would try this morning. I spent way too long surfing the web last night and stumbled upon this website. He sold his car and decided to be car less for 6 months as an experiment, pretty cool! Posted by Unknown at 7:31 AM , Links to this post , 1 comments I'm reading from MyDailyGround: Morning Tea Tweet this!